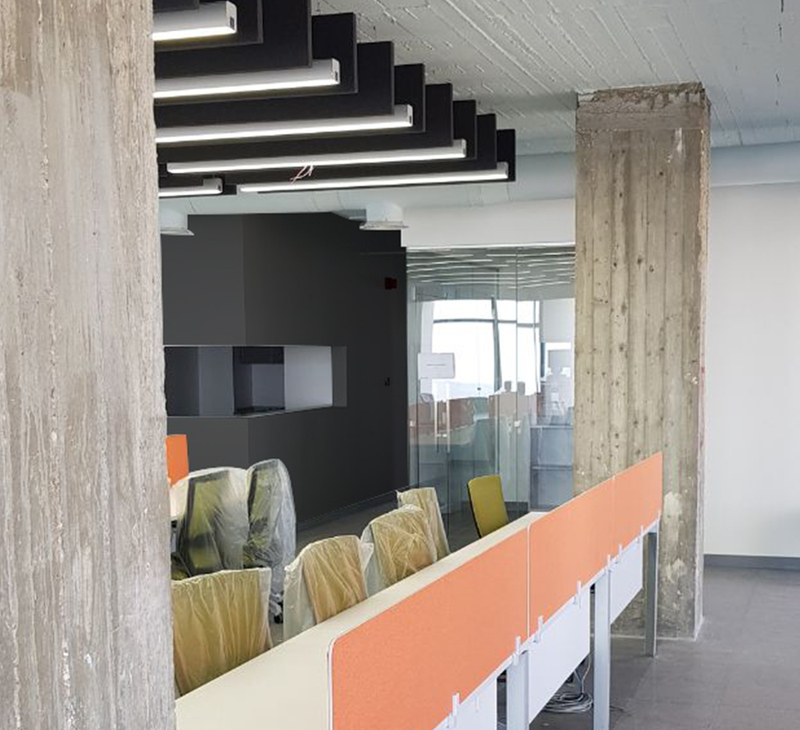 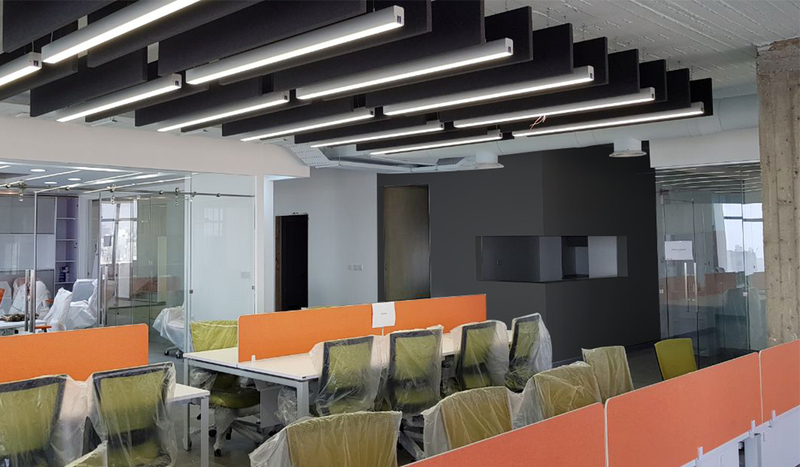 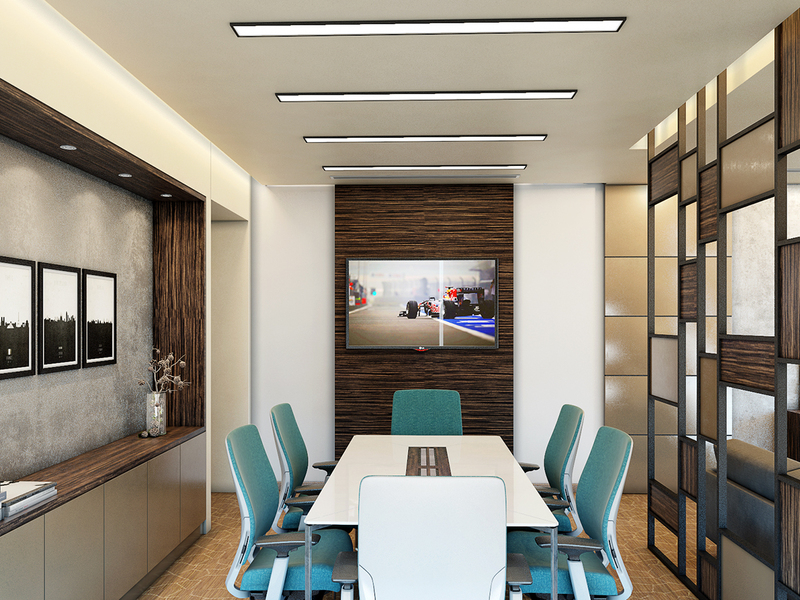 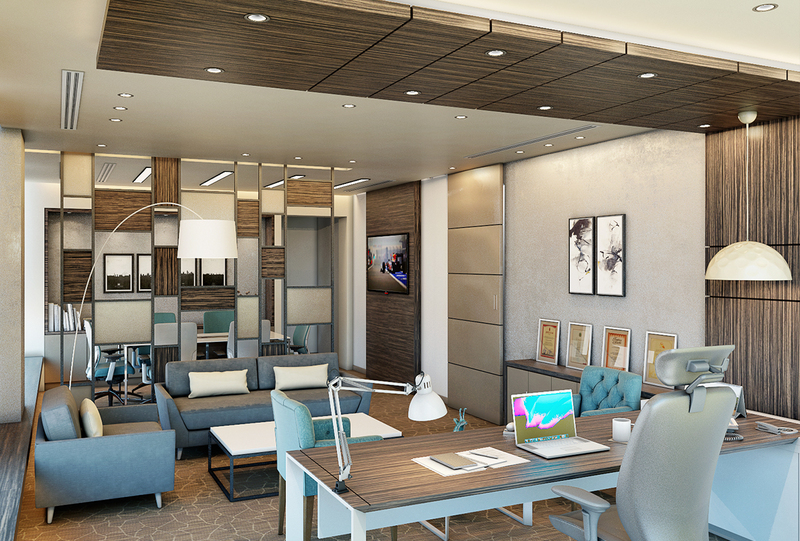 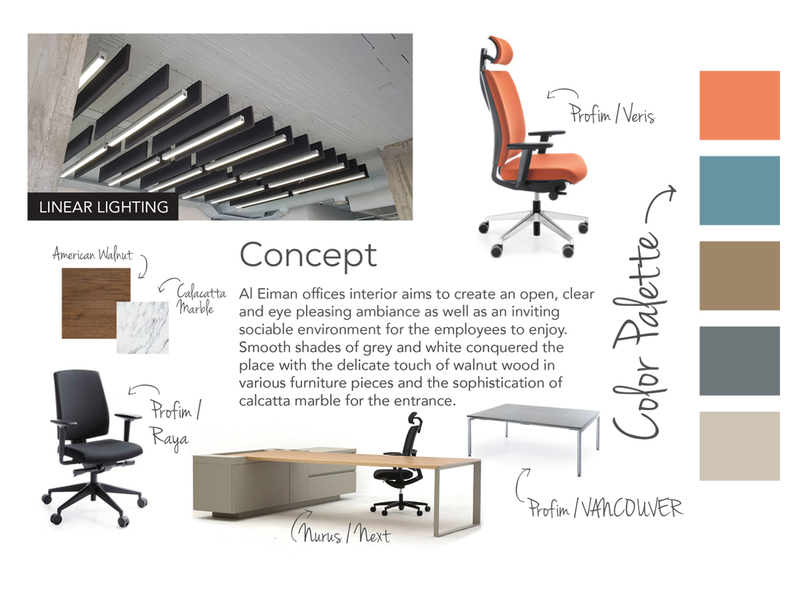 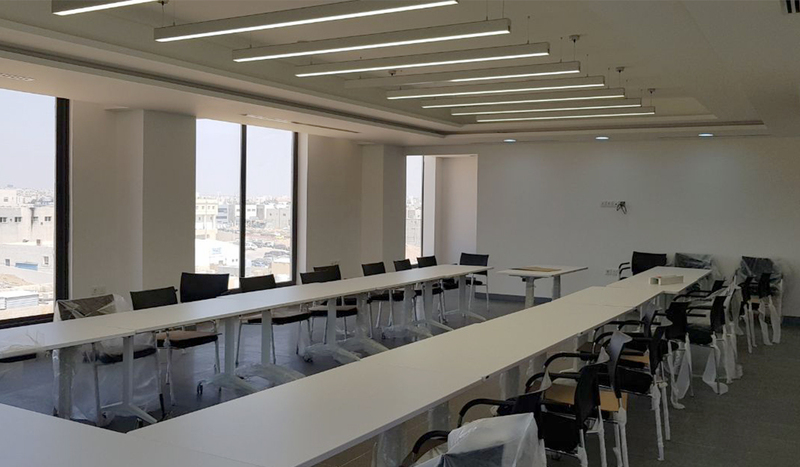 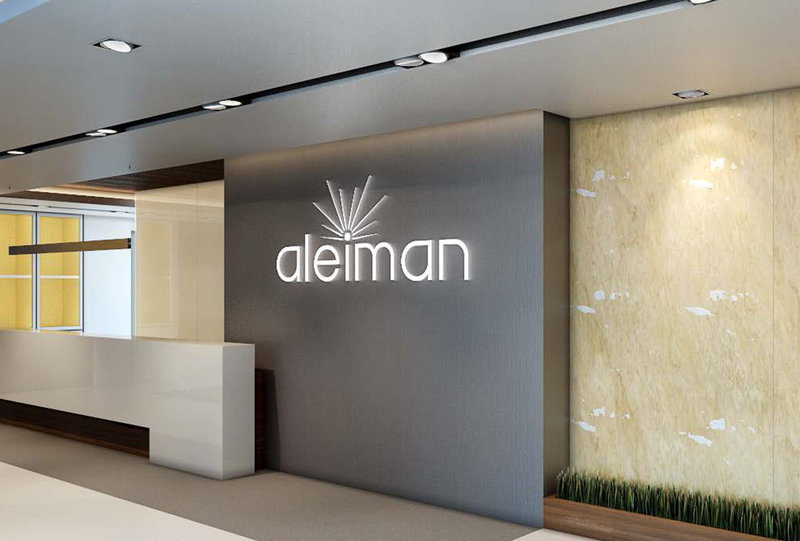 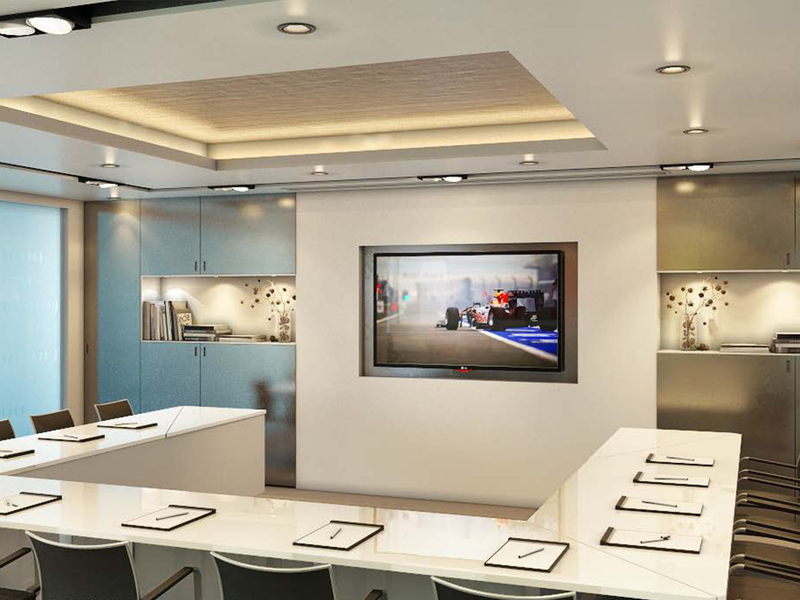 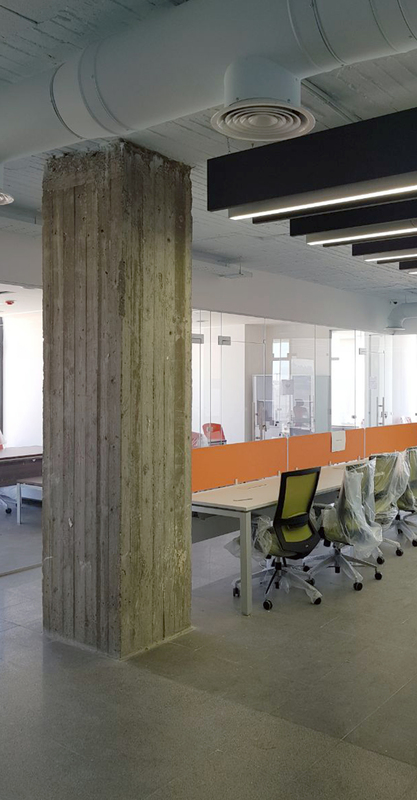 Al Eiman offices interior aims to create an open, clear and eye pleasing ambience as well as an inviting sociable environment for the employees to enjoy. 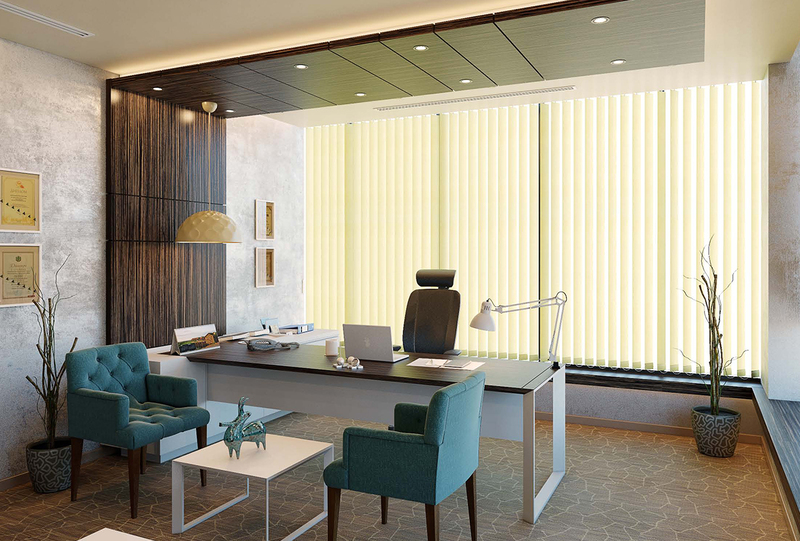 Polished shades of grey and white conquered the venue with the mild touch of walnut wood in various furniture pieces, the vibrant orange office desk partitions the sophistication of Calcutta marble for the entrance. 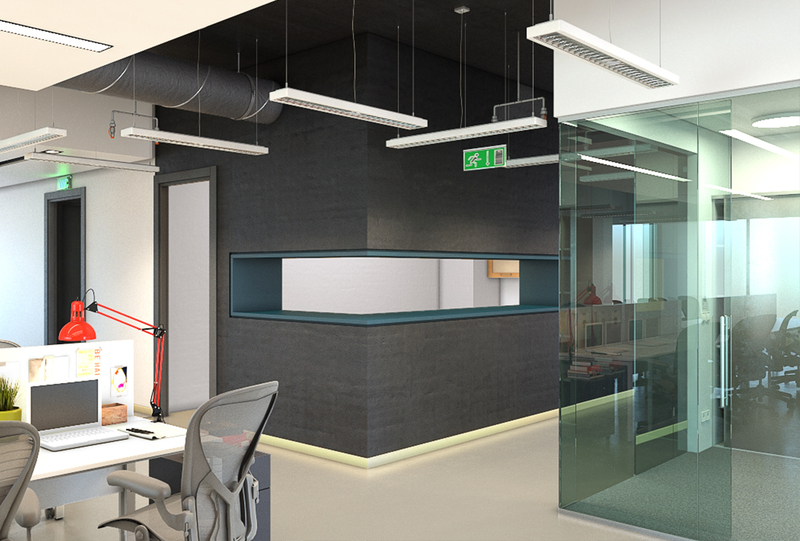 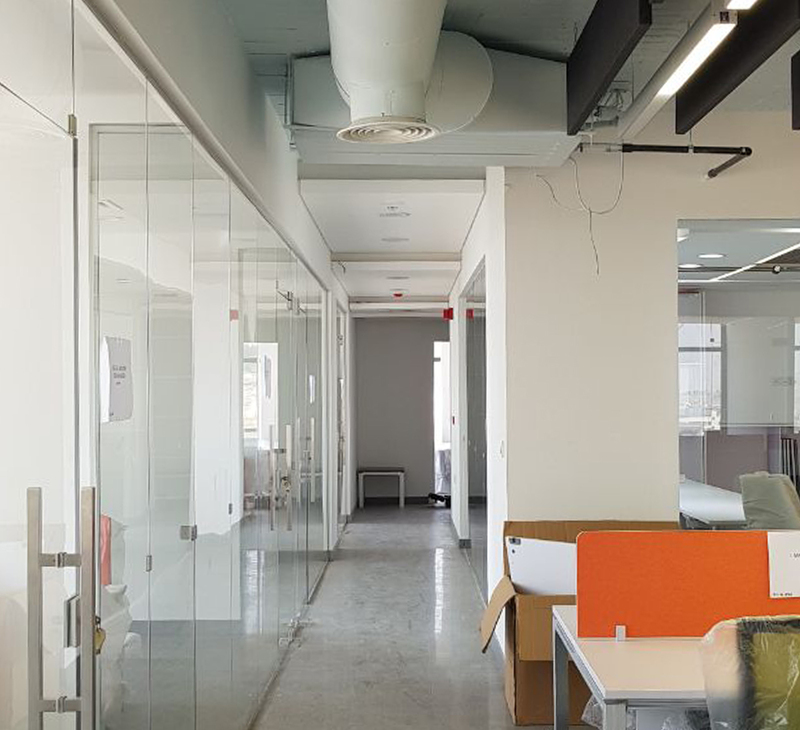 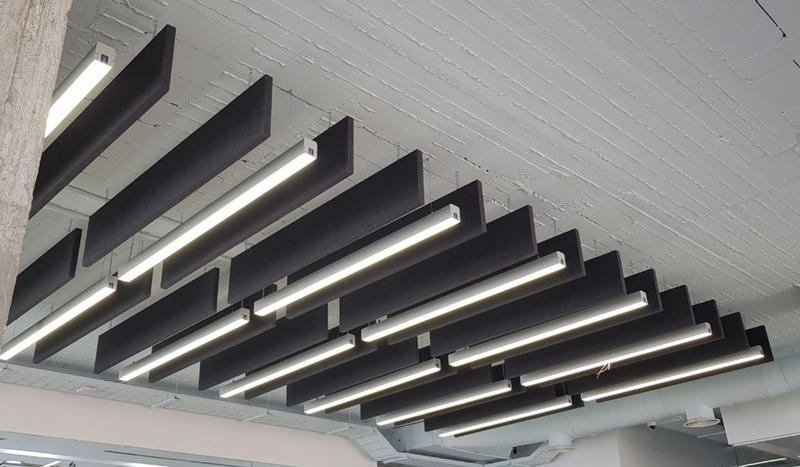 The exposed ceiling asserted and amplified the casual yet effortless to be reflected along with the vigorous tall glass partitions between offices.